Dr. Dana Berry points to a youthful experience that “lit up” his interest in becoming a dentist. Anyone who has ever seen the TV special Rudolph the Red-Nosed Reindeer may recall that one of the elves, Hermey, is not interested in making toys in Santa’s workshop. Hermey wants to become a dentist! Later in the show, the elf’s dental skills help save the day and he eventually opens a dental office at the North Pole. Turning a childhood fascination with “being a dentist” into an actual career takes a lot of hard work and study. Dr. Berry accomplished that by following up his undergraduate degree with studies at Howard University College of Dentistry. This institute in our nation’s capital is the only dental school in Washington, D.C.. The fifth oldest such school in the United States, it was founded in 1881. Dr. Berry specializes in making new patients comfortable at our Placerville dental office. Guaranteeing patient satisfaction so that each client leaves the chair happy is a strongly motivating factor for him. Through effective communication, he finds that patients relax and focus on the upcoming benefits to their dental health. Of all the improvements in dentistry available to the modern dental practice, Dr. Berry is most impressed with the ability to use digital technology to manufacture crowns and other dental appliances by using images of the human mouth uploaded into countertop milling machines. He hopes to make such technology accessible to our Placerville patients. A world traveler, Dr. Berry has seen the entirety of the Americas, while also visiting the continent of Africa and stopping in the Middle East. 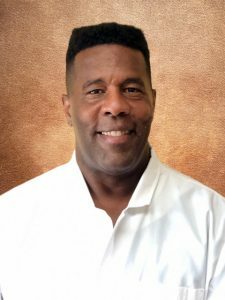 Originally from Charlotte, North Carolina, he also enjoys fishing and exercising, activities he can easily do together here in the beautiful Sierra Nevada mountains surrounding Placerville.